Multiple Sclerosis (MS) is a progressive incurable neurodegenerative disorder. It is the most common immune-mediated inflammatory demyelinating disease of the central nervous system, affecting an estimated 400 000 people in the United States (usually diagnosed between 20 and 40 years; 2/3 women) . MS is characterized pathologically by multifocal areas of demyelination with loss of oligodendrocytes and astroglial scarring . 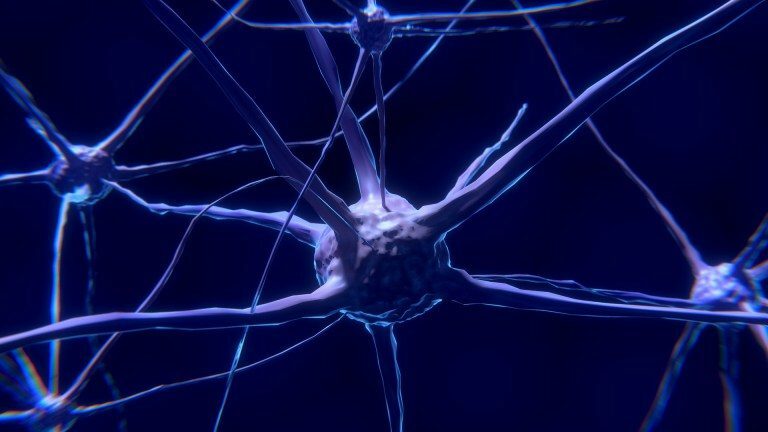 Diagnosing MS can involve MRI scan, evoked potentials test, lumbar puncture and blood tests, essentially focussing on uncovering evidence of demyelination occurring in multiple areas of the brain, spinal cord, or optic nerves . Early signs of MS can include numbness, tingling of the face or trunk or limbs, uneven balance, weakness in the legs, and vision problems . However, during the course of the disease patients can experience a wide range of symptoms, which can vary widely between people and over time. Broadly speaking, the hallmarks of MS are symptomatic episodes (monthly or annually) leading to upper or lower limb disability, cognitive problems, depression, and fatigue . Treatment for MS include physiotherapy, self-management techniques and rehabilitation. In addition, there are an increasing range of pharmacologic therapies reaching the market (Table 1). Modus Outcomes has long standing experience researching clinician-reported (ClinRO) and patient reported outcome (PRO) instruments in MS clinical studies, spanning: treatment models , clinical decision-making , rehabilitation , occupational therapy , fatigue measurement , upper limb functioning , ability to detect clinical change , translation issues in clinical trials , establishing numbers of response options , sample size calculations , and modern psychometric methods . In line with US Food and Drug Administration stated strategic priorities (i.e., ‘“bridging studies” to adapt and update PRO measures for new indications and populations’, page 12) , we have recently conducted three new studies, which have focussed on three widely use PRO legacy instruments: the Multiple Sclerosis Impact Scale (MSIS-29), ABILHAND-56, and 12-item Multiple Sclerosis Walking Scale. In the first study, we ‘enhanced’ the measurement performance of the Multiple Sclerosis Impact Scale (MSIS-29) using Rasch Measurement Theory (RMT) based on empirical post-hoc analyses of data from longitudinal data from the Phase III ADVANCE clinical trial . Our findings suggested sub-optimally targeting at the lower functioning end of the two MSIS-29 scales (i.e., Physical Impact, Psychological Impact) and questioned their conceptual basis. We proposed rescoring (i.e., General Symptoms, Psychological Impact, General Limitations; response option adjustments) which improved conceptual clarity, ability to detect change, but not the targeting issues. In the second study, we turned our attention to the use of the ABILHAND-56 in RRMS . The ABILHAND is a manual ability PRO instrument originally developed for stroke patients. Previous research suggested limited measurement range and precision in higher-functioning multiple sclerosis patients . Therefore, we used a mixed methods study design (i.e., qualitative [concept elicitation and cognitive debriefing] and quantitative [Rasch measurement theory]) to identify candidate items to expand the measurement range of the ABILHAND-56, thus improving its ability to detect differences in manual ability. The final pool of 20 new bolt-on items improved targeting to higher-functioning multiple sclerosis patients and measurement precision. In the third study, we developed a gait module to complement the 12-item Multiple Sclerosis Walking Scale  to begin to address the previously acknowledged floor and ceiling effects across the multiple sclerosis severity spectrum. Once again, we used a mixed methods study design, with RRMS patients. Thirty-seven walking ability concepts were identified, and a five-domain conceptual framework was created. Draft gait items included concepts such as dragging, shuffling, limping, tripping and falling. Rasch measurement theory psychometric analysis indicated administering MSWS-12 plus 10 new Gait items improved measurement precision in targeted populations with better walking ability. Leveraging legacy PRO instruments through step-wise mixed methods research will begin to help address conceptual and targeting issues and lead to lead to more fit-for-purpose, clinically meaningful and sensitive PRO instruments in future pharmaceutical MS clinical trials. Kister I, Bacon T, Chamot E, Salter A, Cutter G, Kalina J, Herbert J. 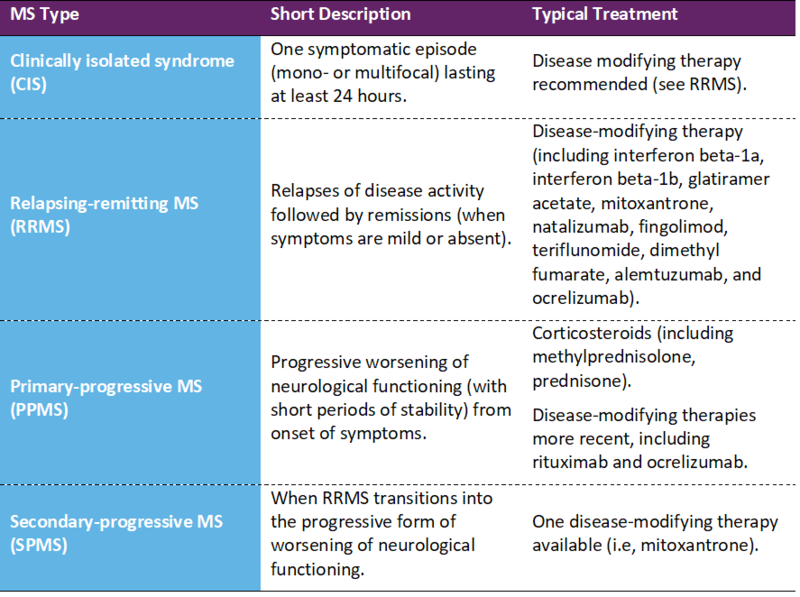 Natural history of multiple sclerosis symptoms. Int J MS Care. 2013;15(3):146–156. Rakusa M, Cano SJ, Porter B, Riazi A, Thompson A, Chataway J, Hardy T. A predictive model for corticosteroid response in individual patients with MS relapses. PloS one. 2015;10(3):e0120829. Holliday RC, Cano S, Freeman JA, Playford ED. Should patients participate in clinical decision making? An optimised balance block design controlled study of goal setting in a rehabilitation unit. J Neurol Neurosurg Psychiatry. 2007;78(6):576-580. O’Connor RJ, Cano SJ, Thompson AJ, Playford ED. The impact of inpatient neurorehabilitation on psychological well-being on discharge and at 3 month follow-up. J Neurol. 2005;252(7):814-819. Jellie B, Sweetland J, Riazi A, Cano SJ, Playford ED. Staying at work and living with MS: a qualitative study of the impact of a vocational rehabilitation intervention. Disabil Rehabil. 2014;36(19):1594-1599. Hobart J, Cano S, Baron R, Thompson A, Schwid S, Zajicek J, Andrich D. Achieving Valid Patient-Reported Outcomes Measurement: A lesson from fatigue in multiple sclerosis. Mult Scler. 2013;19(13):1773-1783. Cano S, Barrett L, Zajicek J, Hobart J. Beyond the reach of traditional analyses: using Rasch to evaluate the DASH in people with multiple sclerosis. Mult Scler. 2011;17(2):214-222. Hobart JC, Cano SJ, Thompson AJ. Effect sizes can be misleading: is it time to change the way we measure change? J Neurol Neurosurg Psychiatry. 2010;81(9):1044-1048. Hobart J, Cano S, O’Connor R, et al. Multiple Sclerosis Impact Scale-29 (MSIS-29): measurement stability across eight European countries. Paper presented at: ECTRIMS, Milan, Italy, 2003; [Abstract in: Multiple Sclerosis 2003; 9: S23]. Barrett L, Cano S, Thompson A, Zajicek J, Hobart J. Myths about rating scales: there is a magic number of response categories. Paper presented at: Association of British Neurologists Spring Scientific Meeting, Cambridge, UK, 2007; [Abstract in: Journal of Neurology, Neurosurgery and Psychiatry 2007, 78(9), 1037]. Hobart J, Cano S, Warner T, Thompson A. What sample sizes for reliability and validity studies in neurology? J Neurol. 2012;259(12):2681–2694. Hobart J, Cano S. Improving the evaluation of therapeutic interventions in multiple sclerosis: the role of new psychometric methods. Health technology assessment. 2009;13(12):iii, ix-x, 1-177. Food and Drug Administration. Value and Use of Patient Reported Outcomes (PROs) in Assessing Effects of Medical Devices CDRH Strategic Priorities 2016-2017. Cleanthous S, Cano S, Kinter E, Marquis P, Petrillo J, You X, Wakeford C, Sabatella G. Measuring the impact of multiple sclerosis: Enhancing the measurement performance of the Multiple Sclerosis Impact Scale (MSIS-29) using Rasch Measurement Theory (RMT). Mult Scler J Exp Transl Clin. 2017;15;3(3):2055217317725917. Cleanthous S, Strzok S, Pompilus F, Cano S, Marquis P, Cohan S, Goldman MD, Kresa-Reahl K, Petrillo J, Castrillo-Viguera C, Cadavid D, Chen SY. Addressing the targeting range of the ABILHAND-56 in relapsing remitting multiple sclerosis: A mixed methods psychometric study. Mult Scler J Exp Transl Clin. 2018;4(2):2055217318776990. Barrett LE, Cano SJ, Zajicek JP, Hobart JC. Can the ABILHAND handle manual ability in MS? Mult Scler. 2013;19(6):806-815. Strzok S, Cleanthous S, Pompilus F, Cano S, Marquis P, Cohan S, Goldman MD, Kresa-Reahl K, Petrillo J, Castrillo-Viguera C, Cadavid D, Chen SY. Development of a gait module to complement the 12-item Multiple Sclerosis Walking Scale: a mixed methods study. Mult Scler J Exp Transl Clin. 2018;4(2):2055217318783766.